I own a very small collection of hair products in comparison to the rest of my beauty stash, and it's rare that I show loyalty to shampoo and conditioner. 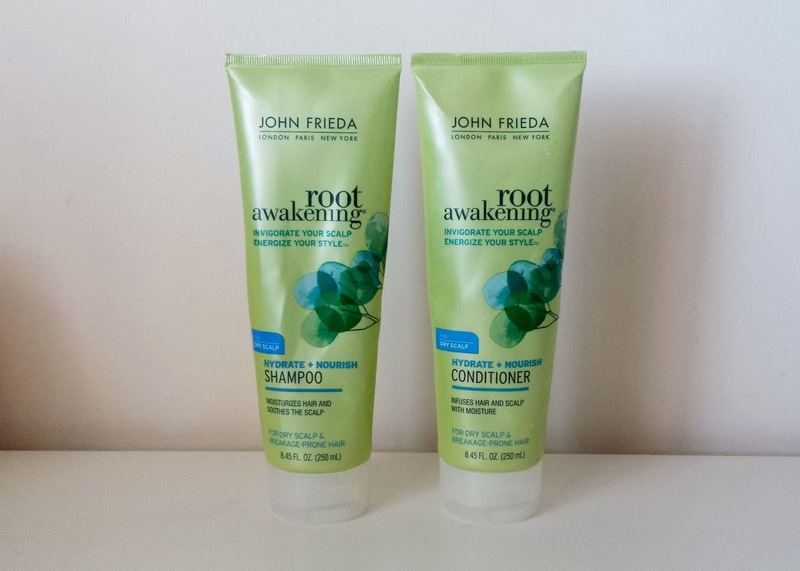 However, for the past few months I've been using the John Frieda Root Awakening Shampoo and Conditioner and I have really, really been enjoying the results. 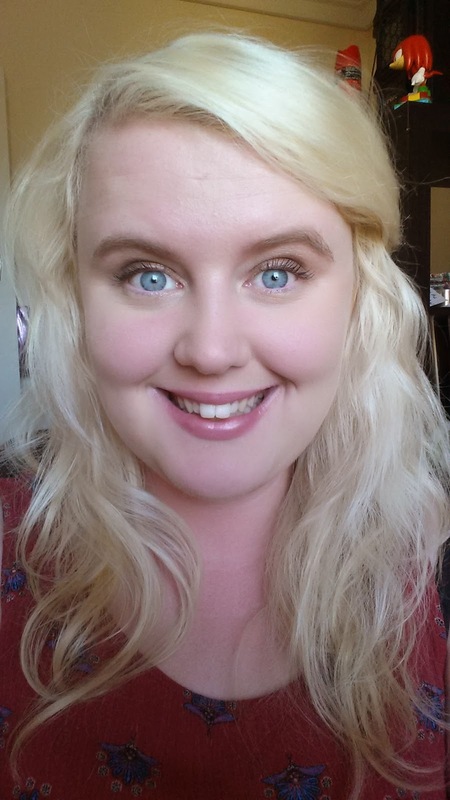 I have naturally dark blonde, very oily hair. 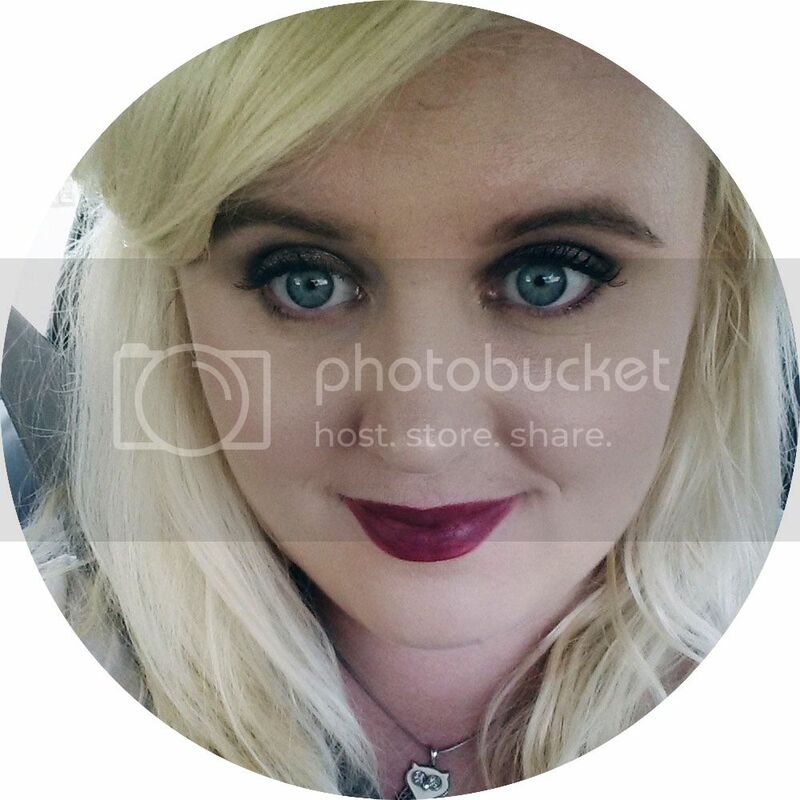 However, because I bleach my hair to a light blonde, it pretty much completely dries out my hair, except for at the roots. My hair is also very fine, so I'm not a huge fan of products that weigh down the hair too much. These products smell strongly of peppermint, which is very pleasant and refreshing in my opinion. The shampoo creates a rich lather that really cleanses my scalp of oil and helps it to stay cleaner. Since using it I have been able to go from washing my hair every second day to every third day! The conditioner also leaves my hair feeling very soft and shiny. I alternate it with a purple conditioner to keep my hair nice and blonde! I think a lot of people struggle with the combination of having oily roots and dry ends in our hair. That is why when I saw these products I had to try them. On the bottle John Freida say that this duo is for dry scalp and breakage prone hair, and I'd say that description is very accurate. The duo are effective and if you also struggle with oily roots and dry hair, I'd highly recommend giving these a try. I love a product that does exactly what it says on the bottle! What are your favourite shampoo and conditioner? Your hair definitely looks super good on this one from them! My favorite conditioner and shampoo has to be from Herbal Essence and Pantene but I picked up the Frizz Ease conditioner from JF and it's amazing so far! Your hair looks so so soft and healthy! I've been wanting to dye my jet black hair, which will involve bleaching, but have been so scared of the damage afterwards. It's nice to know that these products really work! Sounds great. I will try this some time. I struggle with oily roots and fine hair too and have to wash very second day ..
Mãi đến khi xe dừng lại, cô rốt cuộc mới thu lại được tâm trạng. Xuống xe, tên nhà hàng này rất có phong cách thủ đô, gọi là Ngự phẩm phường vốn tư phòng thái (món ăn riêng phố ngự phẩm). dạy tiếng anh cho doanh nghiệpđồ ăn, cô bưng li nước trên bàn lên uống. only the most beautiful cheap a line minel wedding dresses reviews are meant for a perfect beauty like you!